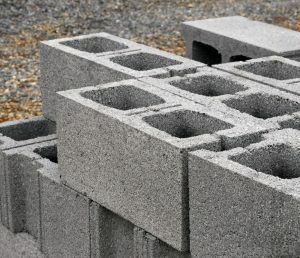 Concrete Masonry Units (CMUs) are also referred to as Cinder Blocks, Cement Blocks, Concrete Blocks or Foundation Blocks. CMUs are made from cast concrete; Portland cement and aggregate. Changing the aggregate, changes the type and use of the CMU. Saudi Readymix opened its first concrete block factory in Jubail in 19801, only two years after its founding. The Jubail factory remained the sole automated block factory until 2008 when the Jeddah block factory opened its doors. The new Jeddah Factory features state of the art production capabilities to cover demand in the western region, and part of the overall more towards realizing the company’s vision of becoming the leading producer of concrete related products in the middle east. We currently have two Block factories in Jeddah and Jubail. Each factory is equipped with its own fully staffed and equipped laboratories to conduct the necessary quality control tests. We produce a wide range of block products that include CMUs, thermal insulation blocks, decorative blocks, interlocking pavers, split fluted blocks and cable tiles.